The treatment of 300-mg/day isoflavones (aglycone equivalents) (172.5 mg genistein + 127.5 mg daidzein) for 2 years failed to prevent lumbar spine and total proximal femur bone mineral density (BMD) from declining as compared with the placebo group in a randomized, double-blind, two-arm designed study enrolling 431 postmenopausal women 45–65 years old. This study evaluated the effects of soy isoflavones on bone metabolism in postmenopausal women. Four hundred and thirty-one women, aged 45–65 years, orally consumed 300-mg/day isoflavones (aglycone equivalents) or a placebo for 2 years in a parallel group, randomized, double-blind, two-arm study. Each participant also ingested 600 mg of calcium and 125 IU of vitamin D3 per day. The BMD of the lumbar spine and total proximal femur were measured using dual-energy X-ray absorptiometry at baseline and every half-year thereafter. Serum bone-specific alkaline phosphatase, urinary N-telopeptide of type 1 collagen/creatinine, and other safety assessments were examined regularly. Two hundred out of 217 subjects in the isoflavone group and 199 out of 214 cases in placebo group completed the treatment. Serum concentrations of isoflavone metabolites, genistein and daidzein, of the intervention group were remarkably elevated following intake of isoflavones (p < 0.001). However, differences in the mean percentage changes of BMD throughout the treatment period were not statistically significant (lumbar spine, p = 0.42; total femur, p = 0.39) between the isoflavone and placebo groups, according to the generalized estimating equation (GEE) method. A significant time trend of bone loss was observed at both sites as assessed by the GEE method following repeated measurement of BMD (p < 0.001). Differences in bone marker levels were not significant between the two treatment groups. Treatment with 300-mg/day isoflavones (aglycone equivalents) failed to prevent a decline in BMD in the lumbar spine or total femur compared with the placebo group. Estrogen deficiency is regarded as a leading cause of bone loss and osteoporosis in postmenopausal women. Although hormone therapy (HT) in postmenopausal women has been found to be efficacious in mitigating bone loss and preventing bone fractures [1, 2], the results of the recent Women’s Health Initiative trial suggest that a combination of estrogen plus progestin taken for more than 5 years may increase the risk of invasive breast cancer and cardiovascular events, including coronary heart disease and stroke . A trial using an estrogen-only arm in hysterectomized women also demonstrated a higher risk of cerebrovascular events . Phytoestrogens exhibit weak estrogenic activity, on the order of 10−2–10−3 that of 17 β-estradiol [5, 6]. The three major chemical types of phytoestrogens that have been identified are isoflavones, lignans, and coumestans. The primary isoflavones in aglycone form are genistein, daidzein, and glycitein. They are found in soybeans and have been considered by some, but not all, researchers as potential alternatives to HT . When the study was first planned in mid-2003, many investigations evaluating the effects of isoflavone-containing soy protein or isolated isoflavones on bone health of peri-menopausal or postmenopausal women had already been published. Only a few of those studies were double-blind, randomized, placebo-controlled trials [8, 9, 10, 11, 12]. They were characterized by small sample size (≦175 cases), short-term duration (≦12 months), and low daily dose (≦99 mg aglycone equivalents). The parameters observed were bone mineral density (BMD) and/or bone turnover markers, and the results were inconsistent. 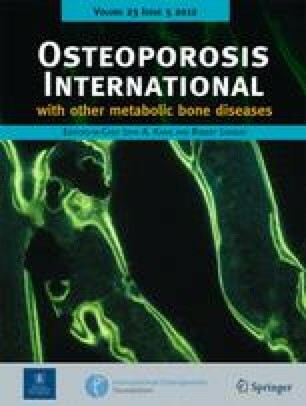 In an attempt to better understand the effects of soy isoflavones on bone health, this study was designed to examine the effects of soy isoflavones on BMD of Taiwanese postmenopausal women with bone loss, employing a larger sample size, a higher dose of isoflavone, and a follow-up of longer duration. This study was designed as a 2-year, parallel group, placebo-controlled, double-blind, two-arm clinical trial conducted simultaneously at three medical centers in Taiwan: the National Taiwan University Hospital (NTUH), Changhua Christian Hospital (CCH), and National Cheng Kung University Hospital (NCKUH). Each center has recruited 144, 142, and 145 participants, respectively. Because previous studies indicated that an intake of 40-g/day soy protein containing 90-mg isoflavones for 6 months increased lumbar spine BMD by 2.2%  and 54-mg genistein/day for 12 months induced a 3% gain in BMD at proximal femur and spine , it was postulated that with a standard deviation of 4.0% in the distribution of treatment responses, 50 participants per arm could reach over 80% statistical power to detect a 2.5% difference in mean percentage change in BMD in lumbar spine between the treatment and placebo groups (with a significance level of 5%). We anticipated a 20% dropout rate, recruiting no fewer than 140 subjects at each center. We enrolled 431 Taiwanese postmenopausal women with the following criteria: aged >45 and <65 years; cessation of menses for at least 12 months and less than 10 years; lumbar spine at second, third, and fourth lumbar vertebrae (L2–L4) BMD 1 SD below the young adult female mean value (T-score < −1); BMI 18.5–30 kg/m2; follicle-stimulating hormone (FSH) >40 IU/L; and estradiol (E2) <40 pg/mL. The exclusion criteria were clinical or laboratory evidence of systemic disease; presence or history of vertebral, hip, or wrist fractures; other metabolic bone diseases; gynecological cancer; breast cancer; cervical smear result of class III or IV based on the Bethesda system; undiagnosed vaginal bleeding; significant or pathological endometrial hyperplasia; known cardiovascular, cerebrovascular, or peripheral vascular disorder; poorly controlled diabetes with HbA1c ≥10%; uncontrolled hypertension with blood pressure ≥180/100 mmHg; uncontrolled hypothyroidism; abnormal liver function with alanine aminotransferase (ALT) and aspartate aminotransferase (AST) values >2-fold upper limits, or renal disease with serum creatinine >2 mg/dL; the use of HT, selective estrogen receptor modulators, or phytoestrogen treatment within the previous 3 months; the use of fluoride, calcitonin, chronic systemic corticosteroid, or any other treatment affecting BMD within the previous 6 months; or any use of bisphosphonate within the previous 12 months, or an accumulative usage of any bisphosphonate for more than 3 months before the previous 12 months (the only available bisphosphonate in Taiwan is weekly alendronate). For those who had undergone hysterectomy, the age had to have been 50 to 60 years, with FSH and E2 concentrations as previously stated. All eligible healthy postmenopausal women were recruited between December 2004 and January 2006. They provided written informed consent prior to participation in this study. The study protocol was approved by local and national ethics committees in accordance with the Declaration of Helsinki and Good Clinical Practices Guidelines. Based upon the reports of poor effect of daily doses of 118 , 150  and 114 mg  of isoflavone for alleviating postmenopausal vasomotor symptoms, and the possibility that inquiring about hot flash symptomatology might increase the withdrawal rate, hot flash data were not collected in this study. Eight hundred thirty-seven potentially eligible women were invited to undergo the screening examinations. Among the 435 eligible cases, 431 cases were randomized into the isoflavone treatment group or the placebo group (Fig. 1). We obtained a randomization code for each participant using the permuted randomization method with a block size of eight within each center. For each center, random codes for isoflavone or placebo were evenly generated. Each randomization number was assigned to an individual subject according to the time sequence of the subject becoming eligible. Each eligible case was randomized to one of the two treatment groups in a 1:1 ratio according to a randomization list. An identification number was not re-allocated, if the subject was withdrawn from the study. Each isoflavone capsule contained 50 mg of isoflavones (aglycone equivalents) of which genistein and daidzein comprised 57.5% and 42.5%, respectively, as evidenced by high performance liquid chromatography (HPLC) analysis, and the other components were microcrystalline cellulose, xylitol, and caramel. Each subject in the isoflavone group took three capsules of isoflavones twice a day. The remaining subjects took three placebo capsules twice a day. Each placebo capsule contained microcrystalline cellulose, xylitol, caramel, and soybean sauce flavor without isoflavones. The net weight of the content inside each capsule was 280 mg. The exterior of the isoflavone and placebo capsules appeared identical, and the capsules were distributed to each participant in a double-blind fashion. All participants also took a single calcium phosphate tablet, containing 300 mg of elemental calcium and 62.5 IU of vitamin D3 twice daily (Bio-cal®, TTY Co. Ltd, Taipei, Taiwan). After an overnight fast, venous blood was sampled to determine HbA1c, plasma glucose, total cholesterol, high-density lipoprotein cholesterol, low-density lipoprotein cholesterol, triglyceride, high sensitivity C-reactive protein, urea nitrogen, creatinine, uric acid, ALT, and AST at baseline and 4, 48, and 96 weeks. Serum bone-specific alkaline phosphatase (BAP, Beckman Access Ostase®, Fullerton, CA, USA; interassay coefficient of variation (CV) = 14% and intraassay CV = 9%) and urine collected for routine urinalysis and N-telopeptide of type 1 collagen (NTx, Vitros Immunodiagnostic Products, Ortho-Clinical Diagnostics, Buckinghamshire, UK; interassay CV = 15% and intraassay CV = 10%) were examined at baseline and 48 and 96 weeks. Serum concentrations of isoflavone metabolites, genistein and daidzein, were analyzed at baseline and 48 and 96 weeks by HPLC in accordance with Franke et al. . All biochemical assays were conducted at the certified laboratory of NTUH, except routine urinalysis at the local hospital by the staff blinded to case and placebo status. After randomization, the International Physical Activity Questionnaire-Short Form [17, 18], 24-h diet recall, and the Isoflavone Basic Diet Information Food Frequency Questionnaire [19, 20] were used to interview all participants at baseline and 48 and 96 weeks. Participants were requested to maintain their habitual diet and exercise patterns, which were documented by the same dietitians based on validated questionnaires in face-to-face interviews. We did not measure blood 25-hydroxyvitamin D [25(OH)D] level in this study. Lumbar spine (L2–L4) and right total proximal femur BMD were measured by dual-energy X-ray absorptiometry (DXA) at baseline and 24, 48, 72, and 96 weeks after randomization. The manufacturers of the DXA equipment used at the three geographic sites were Norland XR-26 Mark II (Fort Atkinson, WI, USA), Hologic QDR 4500C (Bedford, MA, USA), and GE-Lunar Prodigy (Madison, WI, USA) for NTUH, CCH, and NCKUH, respectively. Each instrument was subjected to a daily performance check using its specific calibrator. The day-to-day CVs at each site were 0.7%, 0.4%, and 0.3%, respectively. We also used a circulating phantom to examine the reproducibility of the three sets of instruments. The CVs of the repeated readings (once every 4 months, N = 7) were 0.7%, 0.2%, and 0.6% for Norland, Hologic, and Lunar instruments, respectively. The BMD of each subject was measured by the same certified technician using the same instrument throughout the entire study period. Because there had been some differences in BMD among these three instruments, the primary endpoint was used to examine the percentage change in BMD during the course of treatment. We decided to detect lumbar spine BMD at L2 to L4 level because of the software limitation of Norland XR-26 Mark II. Total proximal femur BMD data from NTUH site were also missing due to the software limitation of the Norland XR-26 Mark II. In addition to the aforementioned laboratory tests, the safety of the participants was further monitored by conducting mammography for occult breast cancer, gynecological sonography for evaluation of endometrial thickness, pap smears for cervical dysplasia or cancer, and X-rays for vertebral fractures at baseline and 96 weeks after randomization. Adverse events were classified according to body system and the coding symbols for a thesaurus of adverse reaction terms were used . Participants were asked about their symptoms at the clinics every 3 months. To ensure the compliance of the participants, new capsules were distributed and unused capsules retrieved every 3 months to estimate compliance rates. The compliance rate was calculated as the percentage of total taken capsules in the total dispensed capsules. Descriptive data are given as the mean (standard deviation, SD) for continuous variables and number (percent) for categorical variables. For continuous variables, differences in mean percentage changes from baseline between the two groups were evaluated by Student’s t test. The primary efficacy data on lumbar spine and total proximal femur BMD were examined using intention-to-treat analysis. Additionally, we used a generalized estimating equation (GEE) model to estimate the differences in values of BMD, BAP, and NTx/creatinine at each time point between the two groups and also the time trend after treatment. A p value of 0.05 or less was considered statistically significant. The enrollment flow chart of patients is displayed in Fig. 1. Two hundred out of 217 cases and 199 out of 214 cases, respectively, in the isoflavone and placebo groups completed the treatment. The compliance rate was estimated at approximately 88%. The randomization codes of 431 cases were not broken, and unblinding did not occur in any case until the conclusion of the study. As indicated in Table 1, no significant differences in terms of demographic characteristics were observed between the two groups. There were no significant differences detected at baseline in body weight, daily activity, isoflavone intake, calcium intake, total energy intake, bone turnover markers, or lumbar spine and total femur BMD. Daily physical activity, energy intake, and isoflavone intake showed no significant differences within or between groups at 48 and 96 weeks after randomization. Table 2 shows the serum concentrations of genistein and daidzein. The serum concentrations of isoflavones were remarkably elevated in the isoflavone group (p < 0.001). Table 3 shows the mean percentage changes (95% CI) from their corresponding baseline values for lumbar spine (L2–L4) and total femur BMD. The differences between the isoflavone and placebo groups were not statistically significant at any time point according to two-sample t tests. Using a GEE model, the differences in mean percentage changes of BMD at lumbar spine (p = 0.42) and total femur (p = 0.39) between the isoflavone and placebo groups after controlling for time effect still depicted no significant difference, respectively. However, there was significant bone loss at the two sites in both treatment groups (p < 0.001). In the 2-year study period, both groups lost approximately 1.5% of spine BMD and 1.0% of total femur BMD. Because biases may persist in pooled BMD data from different instruments, we also analyzed mean percentage change from baseline lumbar spine and total femur BMD derived from each center. The result failed to reveal any significant difference between the isoflavone and placebo groups (Table 4). There was no statistically significant difference in serial percentage changes of bone markers between the two groups according to two-sample t tests (Table 5). Again, using a GEE method, the difference in the serial percentage changes of BAP and urinary NTx/creatinine from their corresponding baselines failed to show any statistical significance between the isoflavone and placebo groups (p = 0.78 and 0.43, respectively). In the isoflavone group, 15 cases were reported with fractures of the clavicle (1 case), wrist (3 cases), ankle (2 cases), proximal femur (1 case), and vertebral bodies (8 cases), respectively, whereas there were 2 cases of wrist fractures and 7 cases of vertebral fractures in the placebo group. All cases with clavicle, wrist, ankle, and proximal femur fractures except one case with colles’ fracture were hospitalized for a period of time and continued the clinical trial. Only the case with proximal femur fracture withdrew, because she was treated with a bisphosphonate following the fracture. The relative risk of bone fracture and its 95% CI for the isoflavone group were 1.64 (0.74, 3.67). With the exception of the fractures mentioned above over the 2-year course of treatment, those cases marked by withdrawal of agreement, failure to be reached during follow-up, and protocol violation are listed in Fig. 1. Additionally, one case in the isoflavone arm had a skin reaction (itching) and discontinued the study. The overall incidence rate of adverse events was not significantly different between the two groups. Six serious adverse events occurred in the placebo group throughout the course (one acute myocardial infarction, one intracerebral hemorrhage, one transient ischemic attack, one head injury, and two cases of colon cancer). In the isoflavone group, one case was admitted for blood pressure control and another case underwent surgery for breast cancer. The overall incidence rate of serious adverse events was not significantly different between the two arms. The results of the current randomized, double-blind, placebo-controlled study indicated that a daily intake of 300-mg isoflavones (aglycone equivalents) for 2 years generated no difference in the rate of bone loss at the lumbar spine or total femur. The two bone turnover markers examined, serum BAP and urinary NTx/creatinine, similarly showed no significant difference between the two groups throughout the course of treatment. In terms of time trend, isoflavone treatment in this study failed to change bone turnover biomarkers and failed to prevent lumbar spine or total femur BMD from declining (Tables 3, 4, and 5). Additionally, the examined serum genistein and daidzein concentrations testified to the high compliance of participants as well as the high bioavailability of isoflavones. Unlike the results in this study, several previous studies [8, 9, 10, 11, 12, 22, 23] and two meta-analyses [24, 25] showed a number of beneficial effects of soy isoflavones on bone. Most of them included only small sample sizes (≦175 subjects) and may have been biases, or short follow-up periods (≦12 months), so that true long-term effects could not be assessed, and most of these studies did not measure the serum levels of isoflavones. The two recent meta-analyses (both by Taku et al.) analyzed the overall effects of soy isoflavone supplements on bone turnover markers and BMD separately [24, 25]. There was only a modest overall decrease of urinary deoxypyridinoline, whereas the other bone turnover markers including osteocalcin, BAP, and other bone resorption markers did not show a significant change . Meta-analysis on the effects of supplementation with soy isoflavone extract with an average of 82 (47–150) mg (aglycone equivalents) on BMD showed an increase in lumbar spine BMD by 2.4% after 6 to 12 months. However, no significant change of proximal femur BMD could be found . Taken together, these results were different from those of conventional estrogen therapy, making it difficult to obtain a clear picture of the mechanism behind the action of isoflavone, a phytoestrogen, on bones. On the other hand, several recent reports have demonstrated the absence of beneficial effects of isoflavones on bone [26, 27, 28, 29, 30, 31, 32, 33, 34], supporting our findings. This controversy may be the result of differences in dosage, product forms, length of observations, ethnic dietary habits, or other factors. To further complicate the issue, a number of reports have claimed antagonistic activities of various isoflavones , or the need for the presence of soy protein for isoflavones to exert their effects on BMD [8, 36, 37]. For example, Morabito et al. and Marini et al. reported that the ingestion of single isoflavone-genistein 54 mg/day for 1  and 2 years  resulted in a decline of bone resorption markers and an increase in bone formation markers and BMD of the lumbar spine and femoral neck. These outcomes were totally different from ours. Because each subject in the isoflavone arm of the current study consumed 172.5-mg genistein and 127.5-mg daidzein/day, whether the discrepancy between our results and those of aforementioned authors is due to the antagonistic activities of various isoflavones requires further clarification. We administered a relatively large dose of a common aglycone combination (57.5% genistein and 42.5% daidzein, without soy protein) and measured bone turnover markers and BMD both at the lumbar spine and proximal femur every 6 months. Our results did not show any significant effects throughout the 24 months, in the presence of markedly elevated serum levels of genistein and diadzein of the isoflavone-treated group. Thus, our results strongly suggest that soy isoflavones in the form and dosage used in this study have no transient or long-term effect on bone in postmenopausal women. One of the participants in the isoflavone arm was diagnosed with breast cancer in the study period. According to the statistics of Taiwan Cancer Registry, Department of Health, Executive Yuan for the year 2006, the incidence rate of breast cancer in the entire female population aged 45–64 years in Taiwan was 141.9/100,000 person-year, which was apparently lower than the incidence rate of breast cancer in the isoflavone group of this study (230.4/100,000 person-year). This subject was treated with estrogen and progesterone for 3–4 years after menopause and discontinued for more than 1 year prior to randomization in this study. The breast cancer of this subject might be incidental, and the causal relationship remains unclear. This study may have shortcomings. (1) The baseline serum levels of genistein and daidzein were higher than those reported in the Caucasian population [31, 38], which may mask the effects of the supplement. Nonetheless, the baseline levels were far lower than the post-treatment levels of the isoflavone-treated subjects, making this possibility less likely. (2) The supplement of vitamin D (125 IU of vitamin D3 daily) in this study may have been suboptimal. We did not measure plasma 25(OH)D level in this study. Consequently, the possibility of vitamin D deficiency or insufficiency and their impact on the effects of isoflavones could not be completely ruled out. However, all our participants were ambulatory. A previous study on the nutritional status of vitamin D among ambulatory women aged 40 to 75 of Taipei City reported that vitamin D deficiency was very rare , and it was further supported by the report that dietary vitamin D intakes were relatively adequate in this population . Thus, vitamin D insufficiency or deficiency may not have been a major factor for the lack of effects of isoflavones. (3) We did not collect data on hot flashes that could have served as a reflection of the biological effect and the appropriateness of the dosage of the isoflavones used in this study, in addition to the serum levels of isoflavones. (4) We used three different models of instruments from three different manufacturers to measure BMD. The variations among the three instruments may have masked the effects of soy isoflavones. However, we performed BMD measurements according to the International Society of Clinical Densitometry guidelines. The instruments had daily quality checks and were operated by the same technologists throughout the period of study. The results within each center were analyzed separately and did not show any trend of effects. (5) A lack of total proximal femur BMD data from one center may have reduced the power to estimate the effect of soy isoflavones. However, it is difficult to perceive how isoflavone treatment could improve proximal femur BMD while providing no benefit in preventing bone loss at the lumbar spine. (6) Our sample size was not sufficient to analyze the effects of soy isoflavone on fracture rates. The fracture incidence in our study appeared higher than the results reported by a prospective study in Shanghai, China . 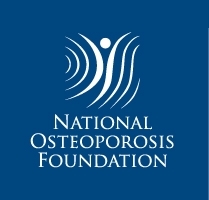 It should be noted that our study included only osteopenic or osteoporotic women, whereas the study in Shanghai included a cohort from the general population. However, in view of 64% increase in bone fracture rate in the isoflavone arm compared with that of the placebo arm, more cautious monitoring in this regard is warranted in the future studies. The current double-blind, randomized, placebo-controlled study of soy-extracted isoflavones on bone health failed to detect either an antiresorptive or a bone-sparing effect, despite possessing the strengths of larger dose, long observation period, and high compliance rate. We would like to thank the three local hospitals, National Taiwan University Hospital, Changhua Christian Hospital, and Cheng Kung University Hospital, for their support in clinical observation and laboratory tests; we also appreciate the assistance of Taiwan Biotech Co. Ltd, Taiwan for its generous provision of isoflavones. Additionally, the authors are grateful for all the subjects who participated in this study. This study was supported by GE-PP02 grant “A Taiwan Isoflavone Multicenter Study (TIMS)” from the National Health Research Institutes, Zhunan, Taiwan. The funding source supervised the design, conduct, management and analysis, but was not involved in the interpretation of the study result.